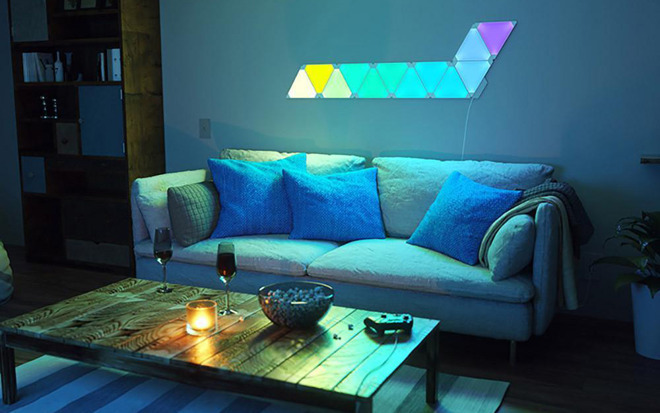 Decorative smartlights are plentiful, but the best choice is arguably Nanoleaf, whether you get the standard triangular kit ($199.99) or the square Canvas option ($249.99). They're exceptionally bright, and can be configured for virtually any color or motion pattern you can think of. Optionally they can sync with music, and the Canvas panels can even be controlled by touch. We do recommend that you be careful about how you mount them. 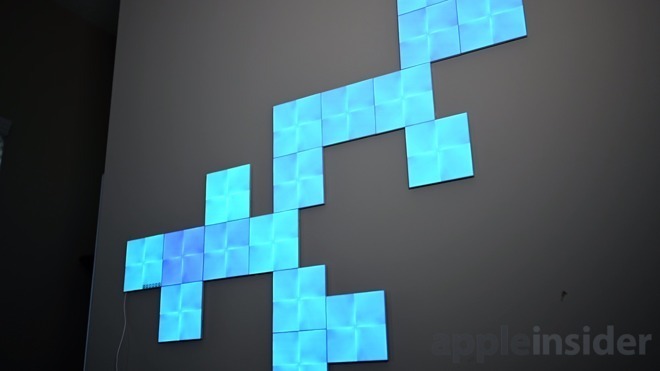 Nanoleaf's included adhesive strips won't work on every surface, and it's crucial to install panels in a way that keeps them secure yet removable. 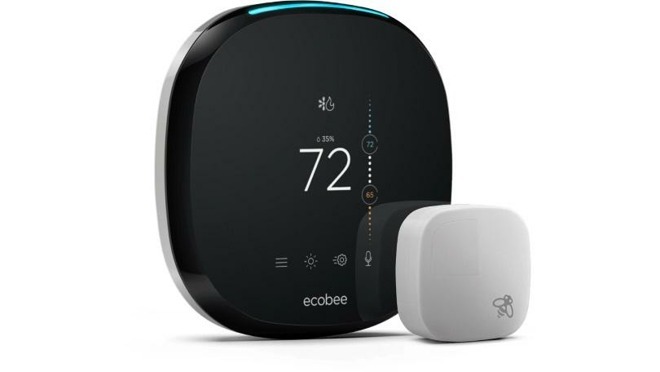 The ecobee4 (on sale for $231.99) is the king of smart thermostats. It doesn't "learn" like the Nest, but it more than makes up for this with a bundled external room sensor, which in addition to the thermostat's own sensor can detect occupancy and ensure consistent temperatures. It's easy to use, and comes with an Alexa speaker built-in -- you don't have to have an Apple device nearby to use voice commands. If you don't care for Alexa, you can choose the ecobee3 lite ($169), which is otherwise largely identical. It does ship without external sensors though, so you'll need to buy those separately if you want them. 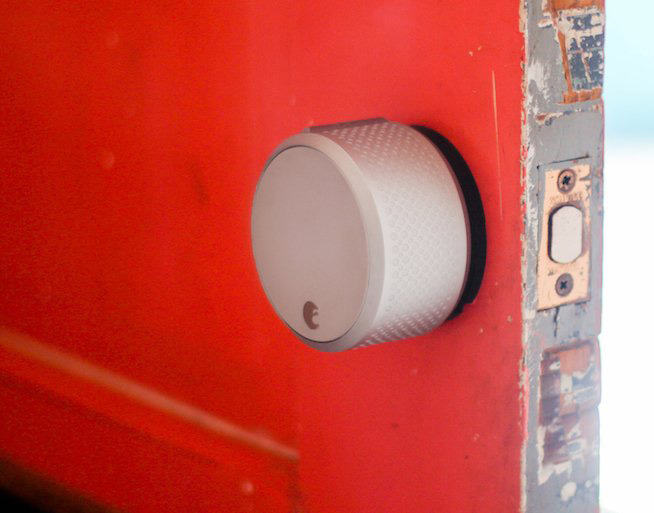 The Smart Lock is, in a nutshell, damn convenient. Mostly because of its geofencing features, which let you automatically unlock when your iPhone is within range, and lock again when you leave home. In our experience it's been extremely reliable, and if you're worried you can also configure a timed auto-lock window as backup. Owning one can potentially make your life simpler, especially for groceries and luggage. The August app lets multiple people share a lock and grant guest access to people like friends and family. There are two versions of the Smart Lock, but for HomeKit you'll need the Smart Lock Pro ($199) or Pro + Connect bundle (discounted to $218.20). The latter includes a Wi-Fi bridge, which is handy for remote access whether you're in another city or just too far outside of Bluetooth range. 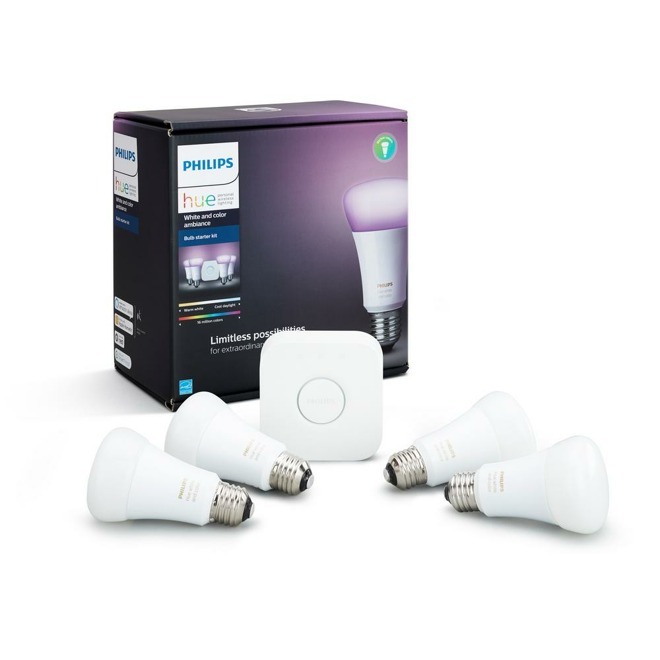 There are plenty of valid smartbulb brands on the market, but our favorite is Philips. 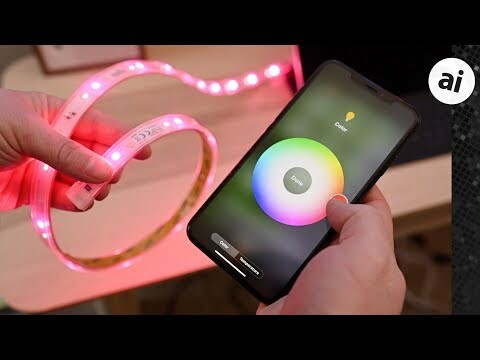 They were one of the first onboard with HomeKit, and by now they have a pretty comprehensive ecosystem with many kinds of indoor and outdoor lights and a well-designed iOS app. Starter kits begin at $49.99. For the full effect, though, you'll want to jump to the $199.99 Hue White and color ambiance kit (currently marked down to $167.99). That gets you four full-color bulbs and the necessary Hue Bridge for your Wi-Fi router. 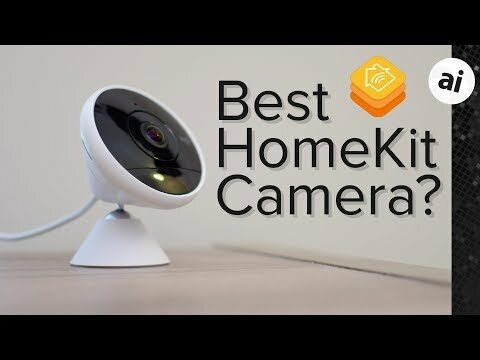 There are a few HomeKit-compatible security cameras out there, but arguably the best is the Circle 2 Wired ($162.49). It has waterproofing, a 180-degree field of view, sharp 1080p video, and 24 hours of free cloud recording that can be extended with a subscription. You can use the camera's motion-sensing capabilities to trigger other HomeKit scenes, for instance turning on lights if someone breaks in. The only real downsides are cost-related. $180 is several times more expensive than the WyzeCam Pan (which lacks HomeKit, mind), and certain features -- namely person detection and motion zones -- are gated behind a top-end Premium subscription that costs $99.99 per year for a single camera, or $179 per year for five. There's not a lot to say about the Switch ($29.95), and that's the way it should be. It's a smartplug that works as advertised, its main features being a side-facing outlet and a customizable nightlight that registers separately in the Apple Home app. Because it's on Wi-Fi, it doesn't require a separate hub like Belkin's plugs. 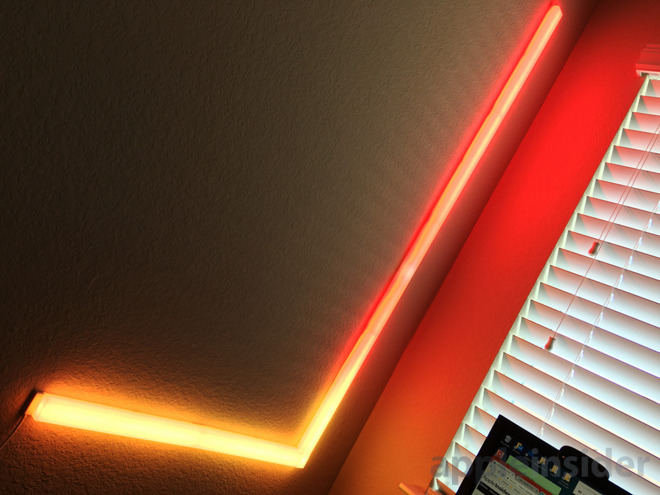 The Eve Light Strip ($79.95) gets bright -- blindingly so. It can hit up to 1,800 lumens, more than twice as bright as most smartbulbs. It's one of the rare Eve products with Wi-Fi too, so it doesn't suffer from the range limitations of Bluetooth. If there's a downside, it's just that you can't create any elaborate patterns or animations. It's one color or bust. Like iDevices' smartplug, the Wall Switch (on sale for $63.40) benefits from its simplicity. It's relatively easy to install, connects to Wi-Fi, and has a small nightlight so you're no longer stumbling around in the dark. 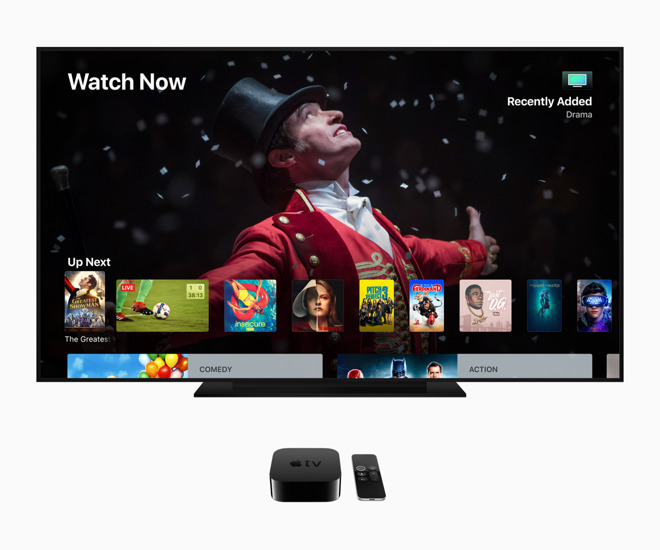 You might not think of Apple's streaming set-top (on sale for $169) as a HomeKit device, but while commands are limited, it wins a place here for the simple reason that it's one of the cheapest HomeKit Hubs hubs you can buy. When enabled, it allows all your HomeKit accessories -- even Bluetooth ones -- to be controlled remotely, and guarantees that automations go off as expected. It's practically mandatory for homes that have a large collection of HomeKit gear. The Beam ($125, down from $149.99) adds a futuristic "Blade Runner" aesthetic to just about any room. It can be heavily customized, including different layouts, patterns, and animations, though the latter two do require the LIFX app -- because of Apple's own limitations, the iOS Home app can only set uniform colors. Depending on where you place it and if you choose to buy add-ons, the Beam can potentially serve as primary lighting, pushing out up to 1,200 lumens. Key question. Do the geofencing features allow for more than one person/phone to lock and unlock? Yes, I have it and my wife and I can both operate the lock from our iPhones or Watches. Yes, via the August app or a passcode with the Smart Keypad. I liked the idea of a HomeKit camera appealed to me until I tried to schedule having them turned on and off via HomeKit. Unless I’m missing something, it can’t be done. To make things worse, it looks like that even of the cameras are turned or via their native app, HomeKit keeps them on. I’m hoping this’ll be addressed in a future update. If you're operating the lock from an app, keypad, iPhone, or Watch, then you're not using geofencing. Mostly because of its geofencing features, which let you automatically unlock when your iPhone is within range, and lock again when you leave home. At one point, I saw many mentions of the user being required to use the app to unlock (and lock?) the door as unlocking (and locking?) it automatically was not an option. Am I misremembering or was that once the case and now it's changed? Personally, the iDevices stuff doesn’t work well. I bought a starter set and the only thing in it I’ve been happy with is the outdoor outlet. The switch and the in-wall dimmer cut-out on a regular basis, regardless of the position in relation to my WiFi. I do live in a 91 year-old house with horsehair plaster walls, so that might be pat of it. Regardless, if you find the iDevices stuff not work8ng for you, I really suggest Lutron’s Caseta for in-wall and the Eve Energy for plug-in switches. I’ll have to try the iDebive smart plugs. Recently got two Weemo mini plugs and they were awful. Took nearly 2 hours to connect as the plugs wouldn’t recognize my WiFi and I need to jump through a ton of hoops. Finally got them to connect and lost connection on 1 within an hour, the other within the weekend. Went to reconnect and the couldn’t recognize my WiFi again! Returned them and I think i’ll give these iDevices a try instead. IKEA TRÅDFRI should at least have gotten an honorary mentioning based on being the cheapest option. I have 3 Belkin WeMo mini plugs, and 2 WeMo in-wall dimmer switches. None require a hub, as all have WiFi and have been working fine for about 6 months now. My house is almost 100 years old. The WeMo app itself seems to have difficulty in connecting, but the apple Home app where everything is a registered accessory, rarely has any connection issues. The WeMo app checks and updates firmware when needed, and allows more complex rules. Overall I'm happy with them. Wemo is your best bet for Wall Plugs. Firmware update enables HomeKit support that works like a charm. I can walk into Best Buy and grab one in 3 minutes. iDevices is a poor choice here. 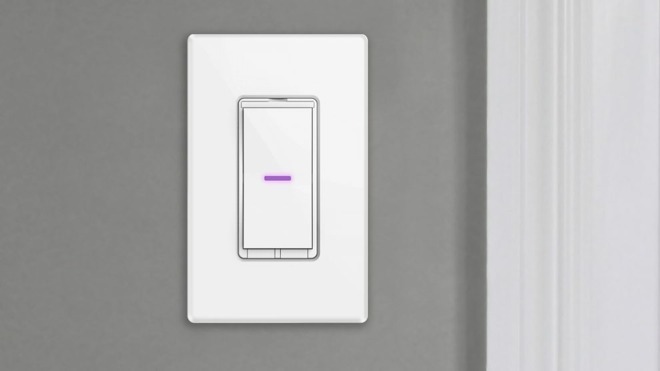 Wall Switch - Wemo would be a better option here as well because of the accessibility. No one wants to order online and wait for iDevice. Lutron Caseta would be the ultimate best but Wemo is available. Lifx Bean and Nanoleaf. No one cares about this stuff. August lock....have one sitting in a box. It looks ugly on your door.. It's all about Yale Assure Lock SL right now. Logi Circle - no one buys these. HomeKit based cameras are basically trash. So far, it also has performed terribly in four of our homes. 10 seconds for a light to respond is far, far too long. We're holding out hope that a firmware update will solve some of the flakiness, but given the on-again off-again nature of the company's unveiling over the last year, it may be a long wait. 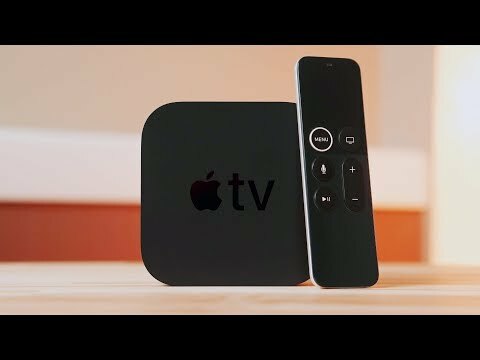 Does the base model have HomeKit support, or is that an add-on module? How long have you used this camera? There are a number of negative reviews on Amazon concerning connectivity and a couple of other issues. Did you experience any of these, and if so, what did you do to mitigate them? I have about a dozen of their lights, and no problems at all with "flakiness" or 10 second delays. Ignoring that the lights are turned on/off in sequence rather than all at once I would call their reaction time instantaneous; meaning that even if the program affects all twelve of them it happens in about a second. But let's say two seconds, to compensate for my good mood and optimism. I'm using an iPad as the homekit hub, and I have it in my bedroom (Plex…); so it's used with "Hi Siri" quite a lot. Besides the good morning- and good night-scenes there's a low-light one for "heading to bed" (with the rest of the apartment dark), one for reading in bed; and three different levels of general light, from lowest possible setting, to office-level lights (I work from home a lot). The only problems with delays that I experience would be when I'm using Siri on my first gen Apple watch to control the lights; but I can't really blame that one on HomeKit nor IKEA. Arriving home late last evening I wanted to switch from the automatic low-level lights, that had switched on before I even opened the door, to my normal level of lights; and one of the lights didn't change from the warmest to the regular level of white. That has happened before, but not often enough that it doesn't catch me completely by surprise. The other problem that I have experienced two or three times over the past 1.5-2 years (since I switched to HomeKit, from a home-made system I'd coded from scratch with Raspberry Pi and Telldus) is solely to blame on Apple… Every now and then the location-database seem to pull the location of my WiFi closer to the student dorms about 100 meters away from where I actually live; so that whole "democratic" approach to WiFi-location basically sets me far enough from where I actually live that it's happened that my lights switch on/off as if I'm leaving/returning home. Annoying as f*ck, and the first time it happened it made me think I'd been hacked. Takes perhaps a day before it goes back to normal. So… no flakiness, no massive delays. If you are experiencing problems with lost signals between the control unit and the individual lights you might want to have a look at the repeater that IKEA has just launched; it even doubles as a USB-charger.